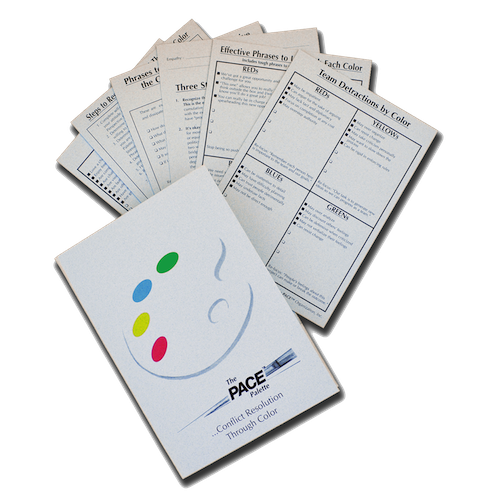 The Complete PACE® Palette Workshop Series for Trainers is comprised of all materials included in The PACE® Palette Trainer’s Package, Effective Communication Through Color Trainer’s Package and Conflict Resolution Through Color Leader’s Guide. 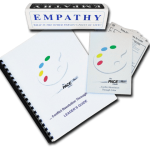 The PACE® Palette Trainer’s Package-The PACE® Palette, The PACE® Palette Leader’s Guide, PACE® Palette AudioCD recorded by Brian Tracy accompanied by corresponding transcript, PACE® Palette Participant’s Guide (workbook), Empathy Card Tent Sign & Release Your Brakes! 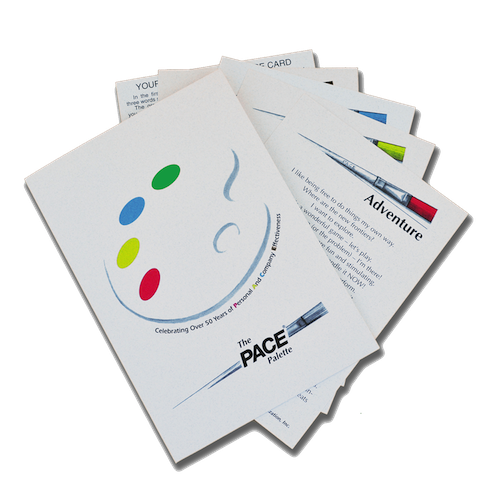 ebook edition by PACE® founder, the late James W. Newman. 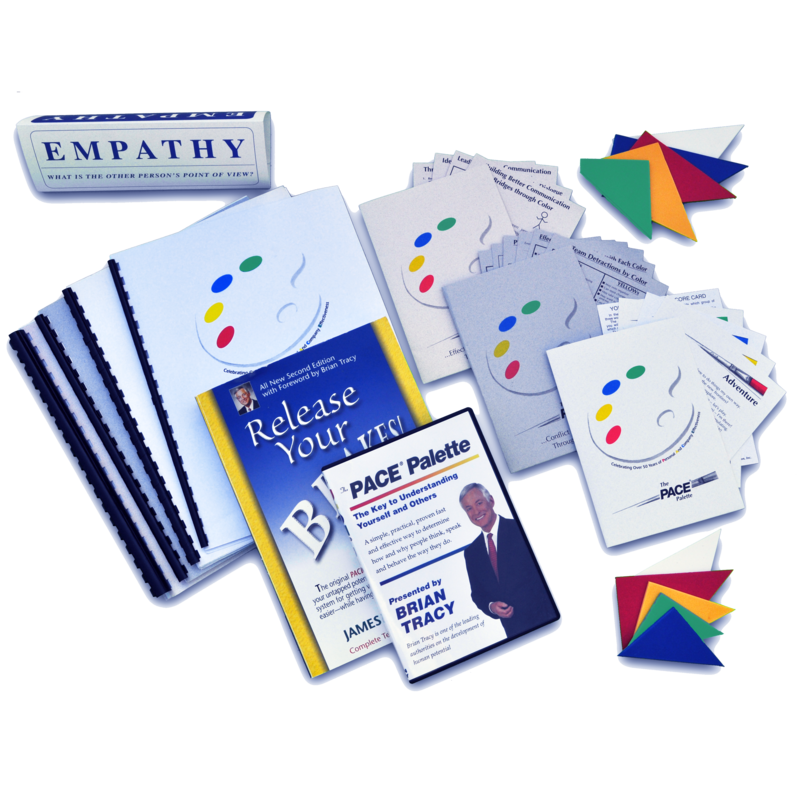 Effective Communication Through Color Trainers Package-(Includes Effective Communication Through Color Leader’s Guide- 41 pages, Effective Communication Through Color Participants Folder, The PACE® Puzzle with instructions). 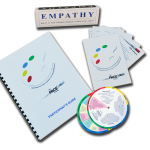 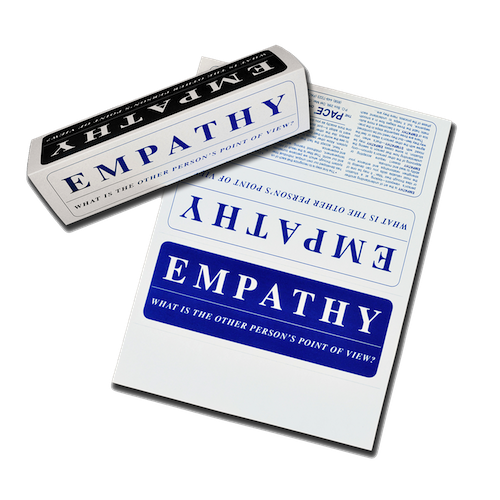 This exercise is ideal for up to 25 participants per session. 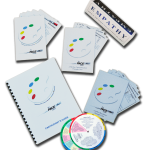 Conflict Resolution Through Color-This package Includes the Conflict Resolution Through Color Leader’s Guide & Conflict Resolution Through Color Participant’s Folder with participant inserts. 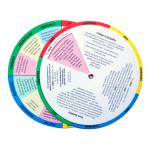 For complete program description of each, please refer to individual items on products page.